Purchase this product now and earn 1,911 Reward Points! 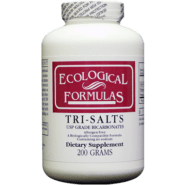 USP Grade Tri-Salts is a nutritional supplement especially designed to neutralize increased acidity. USP Grade Tri-Salts is a nutritional supplement especially designed to neutralize increased acidity. This unique buffering agent contains nutritionally significant amounts of the essential macrominerals calcium, magnesium and potassium as carbonates and bicarbonates without sodium or other salts. The minerals used in this product are of USP grade quality and are well tolerated by the most sensitive individuals. 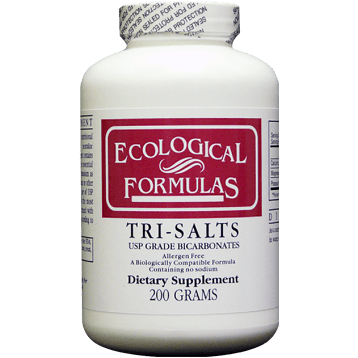 The Tri-Salts may be mixed with Vitamin C crystals and the pH adjusted according to individual needs. As a nutritional supplement, mix one-half teaspoon in water or desired liquid.